Many voters in Ontario will continue to cast ballots Tuesday after technical difficulties forced at least a dozen municipalities to extend voting in local elections. Dominion Voting Systems, a company that provides tabulation systems in Canada and the United States, said in a statement that 51 municipalities were impacted by a glitch that stalled online voting for at least 90 minutes. 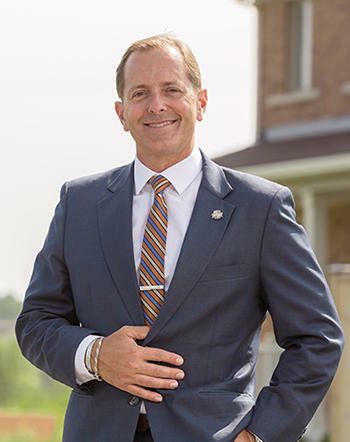 Niagara Falls, ON Mayor Jim Diodati wins a third term. While many impacted communities kept polls open for one or two extra hours, several opted to declare emergencies under the Municipal Elections Act and extend voting for a full day. The rest of Ontario's 417 municipal races went off without technical trouble. Dominion attributed Monday's election-night delays to "slow traffic" it blamed on an unnamed Toronto "internet co-location provider" for placing a limit on incoming voting traffic. Dominion said the issue was eventually resolved, but many voters still complained of problems. "Dominion regrets the challenges that our system-load issue posed or both election officials and voters alike," the company said in its statement. "It is important to note that at no time was the integrity of the system at risk of compromise, or in any way insecure." Toronto Mayor John Tory cruised to another term. The City of London, ON, was the first to hold an election using ranked ballots. previously announced results may not be available until the day after polls closed. Unlike the widely used first-past-the-post system, ranked ballots will see voters pick their first, second and third choices. If no candidate receives an absolute majority on the first ballot, the last-place candidate is eliminated and their supporters' second-choice votes are counted. That continues until one candidate receives more than 50 per cent.